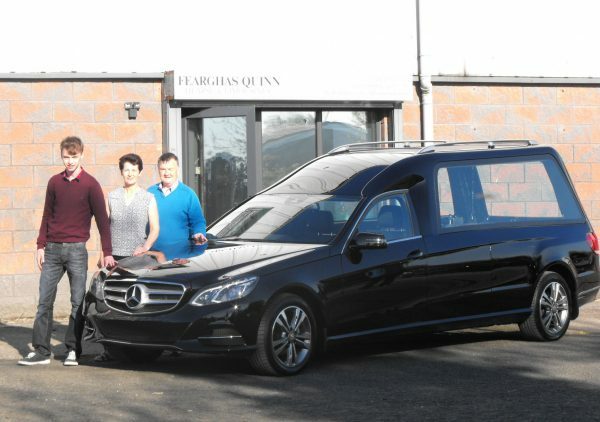 A busy year continues here at Fearghas Quinn Hearse and Limousines in County Antrim with a number of Mercedes-Based E Class hearses and limousines being delivered. Along with some lovely looking Insignias and Mondeos, we’re continually progressing and pleasing customers throughout the UK and Ireland. 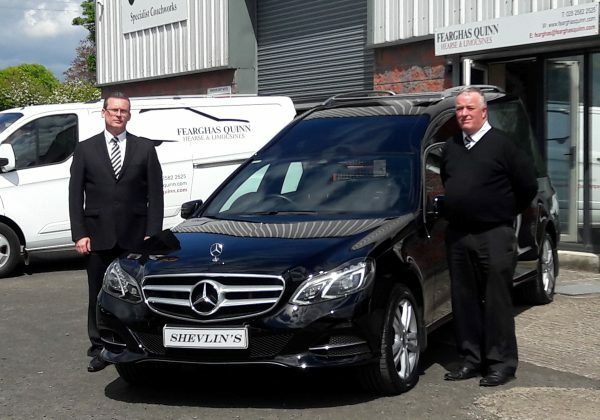 Shevlin’s of Dundalk, Co. Louth collected their 171 E Class hearse in May. 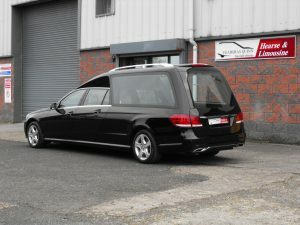 This hearse looked spectacular in the sunshine with its swirl-free, full gloss black finish. 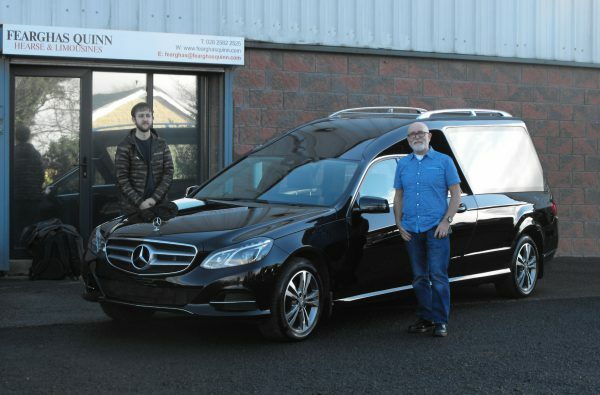 Frank Barrett of Pepperdine Barrett, Manchester collected another E Class limousine to add to their fleet in the North West of England. 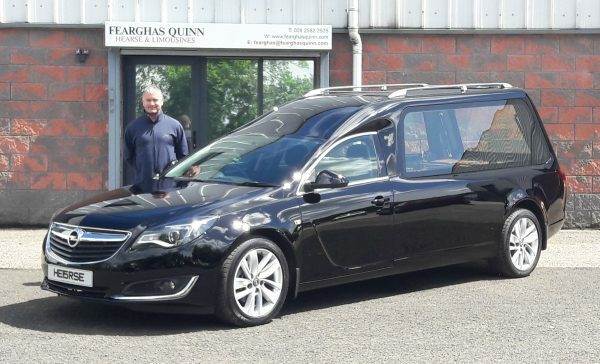 Phil O’Reilly of Tullamore, Co. Offaly picked up his 3 door Insignia hearse from our Portglenone factory. This model is proving very popular in Ireland right now with several more booked in for completion in the coming weeks and months. 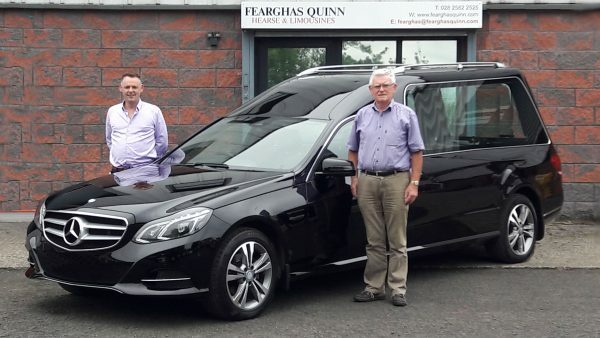 A delighted Dermot Coady of Coady’s funeral home, Castlebar collected his sleek 3 door E Class hearse in June. This vehicle included slim-line Classic deck fittings, alloy wheels and classic roof rails.